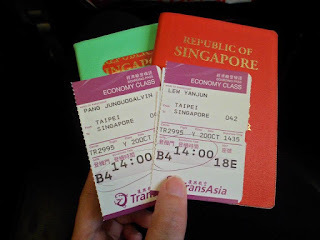 I apologise for this blogpost which came a lil too late. YES! 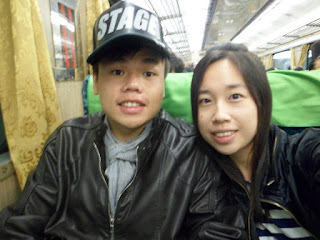 Recently, I had my long-awaited block leave and decided to go for a short holiday trip with Yanjun to Taipei. Some hiccups at the check-in counter at Changi Airport, due to the reason that at one point of time, there was only one counter serving the hundreds of us queuing. Things however took a turn when there were noises made by the queuing passengers. Although there were an increase of check-in counters, we still took about an hour waiting for our turn to get the boarding passes! Taking Tiger Airways for the second time, I would have to say that I am still quite disappointed with their service and etc as there wasn't much improvement after all these years. However, 一分钱，一分货 , thus I don't expect too much from them as well. Finally, after a light breakfast at the airport, we are set to go! Upon arrival at Taoyuan International Airport, there was a hotel land transfer vehicle waiting for us at the gate. Checked-in at Riverview Hotel, about 10 minutes walk away from the main shopping streets of Taipei, also known as XiMenDing. 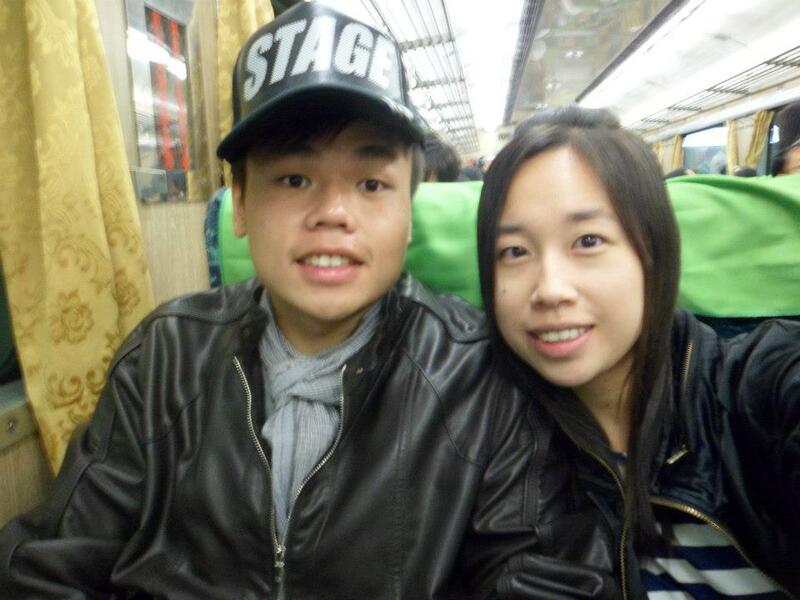 Proceeded to Shihlin Night Market after putting down our luggage in our rooms. 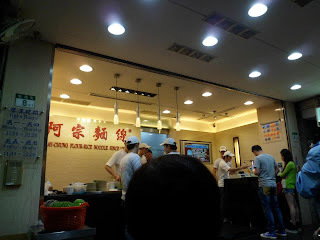 On our way to the MRT station, we were hungry and tried the famous Oyster Noodles, just 3 minutes walk from our hotel. As there were not enough seats, most of the diners are standing up while eating their bowl of noodles! Proceeded to Shihlin Night Market, and there's more FOOD! Tried the Taiwan sausages, Large Deep Fried Chicken (超大鸡排), 大肠包小肠, Aiyu Jelly drink, and much more! Being the largest Night Market in Taipei, there's much to offer in Shihlin. 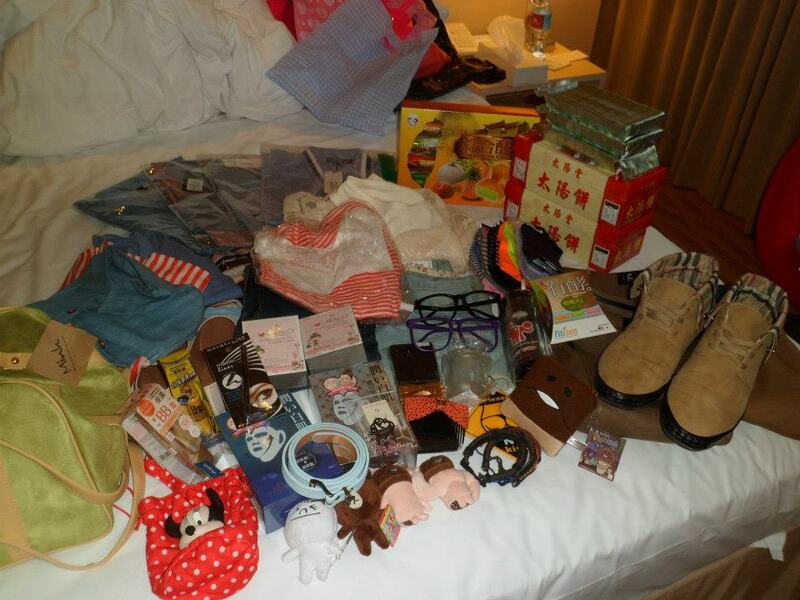 From accessories to clothing, food and games, there's nothing you couldn't find in Shihlin. Tried satay stick prawning as well in the middle of Shihlin market. 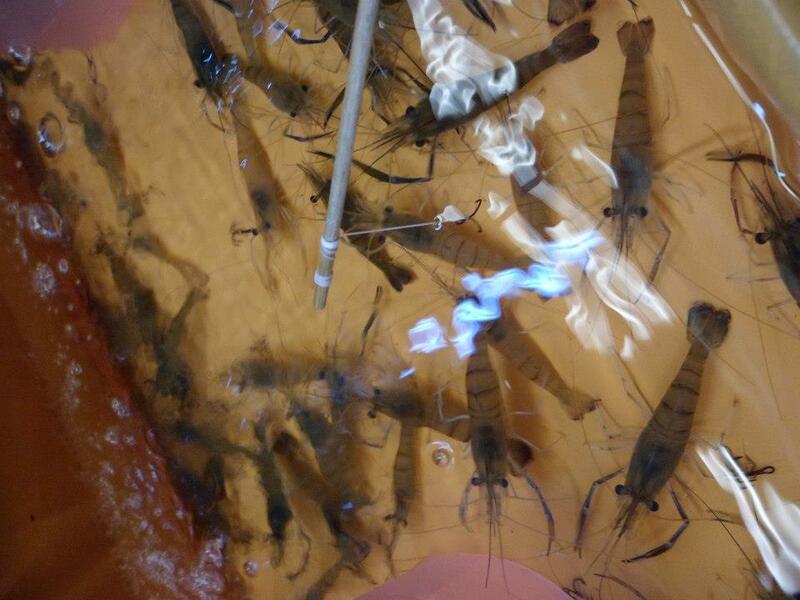 The concept of satay stick prawning was to hook up the prawns via their tails and lift them into the basket provided. However, the knot used to tie the hook was a simple one, which makes it easy for the hook to be detached. The price was NTD$100 for 7 satay sticks. Proceeded back to the hotel for an early rest, marking the end of day 1. Woke up rather early at about 0630 ~ 0700HRS. 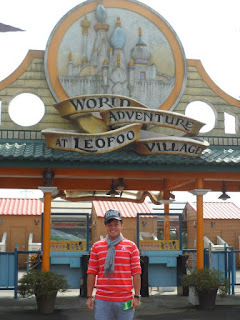 A quick breakfast at the hotel and we made our way to Leofoo Amusement Park. It took us about 1.5 hours to reach the Amusement Park! Similarly to USS, the amusement park is divided in zones. There were a total of 4 zones and each of them consists of their thrilling, exhilarating rides as well as the family-oriented rides. Well, taking a 360degrees turn on the pirate ship at the Wild Wild West section almost took my life away. Took a short rest at the indoor cafe to retrieve my soul before attempting other rides in the park. 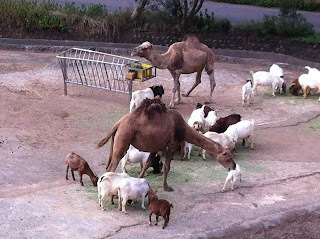 As it was the colder season in Taiwan, the temperature was about 15 ~ 17 degrees celsius. 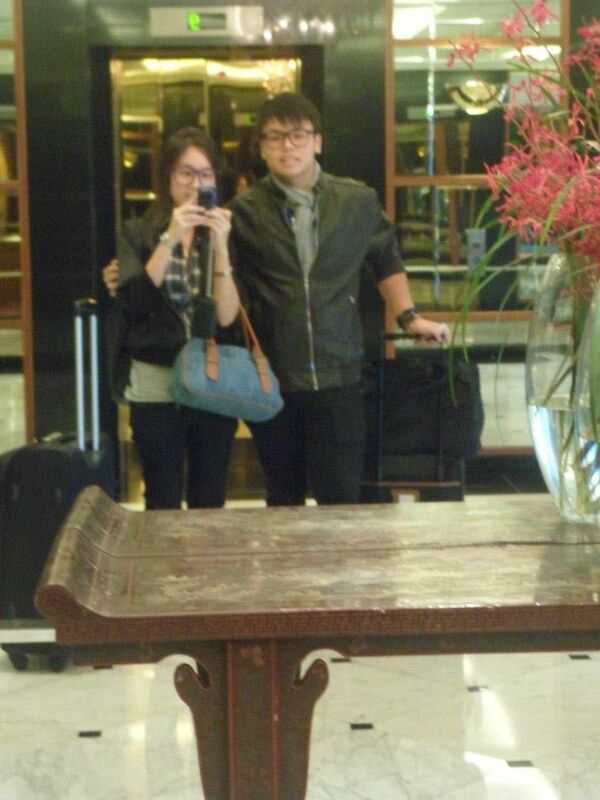 Moreover, the weather in Taipei was unlike Singapore. 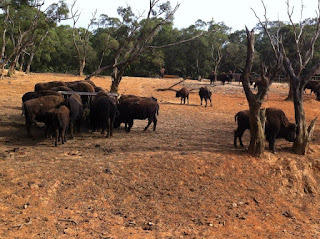 The humidity levels there were very low, which sent cold chilling winds shivering down your spine. 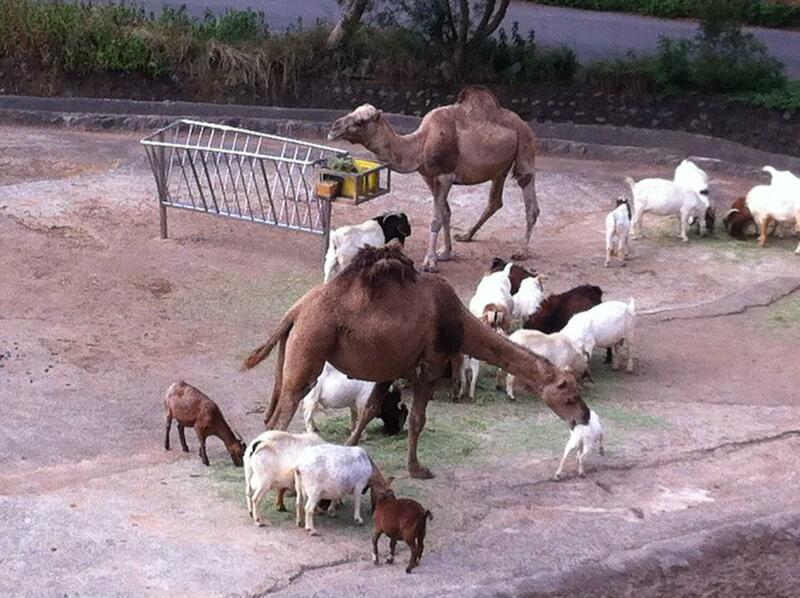 Before exiting the theme park for the day, we went on a short tour in the mini zoo which is located inside the park. Took the same transport to our next destination ad managed to catch some winks on the bus. As it was about 1830HRS when we reached our hotel, we went for some shopping at XiMenDing to experience this bustling shopping district. Similarly to Singapore, they have some common brand names such as Uniqlo, Watsons, etc. Caught some small street bites along the way as we mingled with the crowd and bought some items. 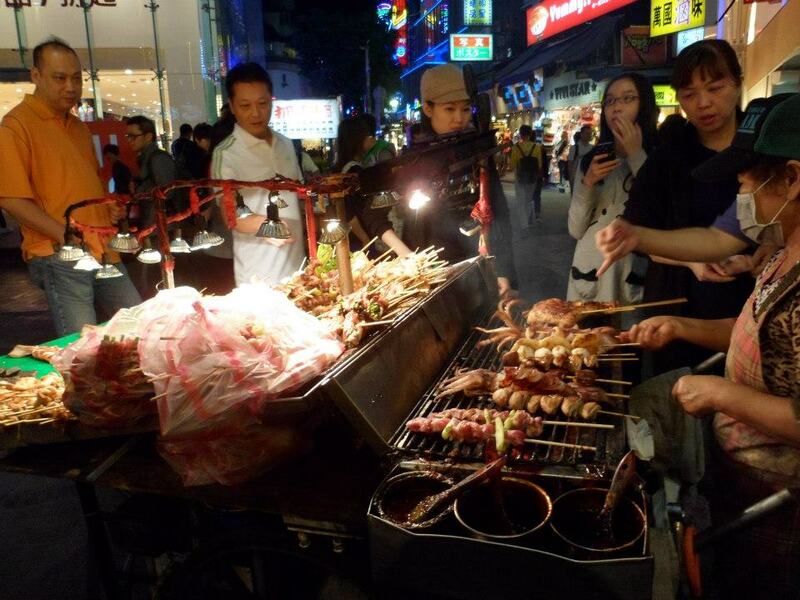 We tried the barbequed squid from this lady and I can assure you that they tasted fantastic! 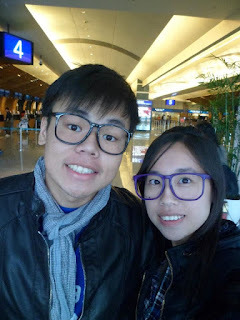 Met up with Wesley, and decided to visit the famous Taiwanese club, also know as LAVA. We, and a few of our friends, reached the area at about 2240HRS, and there were about a 100 people queuing in front of us. To make matters worse, there was a police raid while we were queuing up, delaying our waiting time to 2 hours. That was the longest time I have ever taken to enter a club! 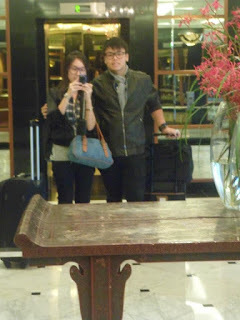 Reached back to the hotel at about 0430HRS. 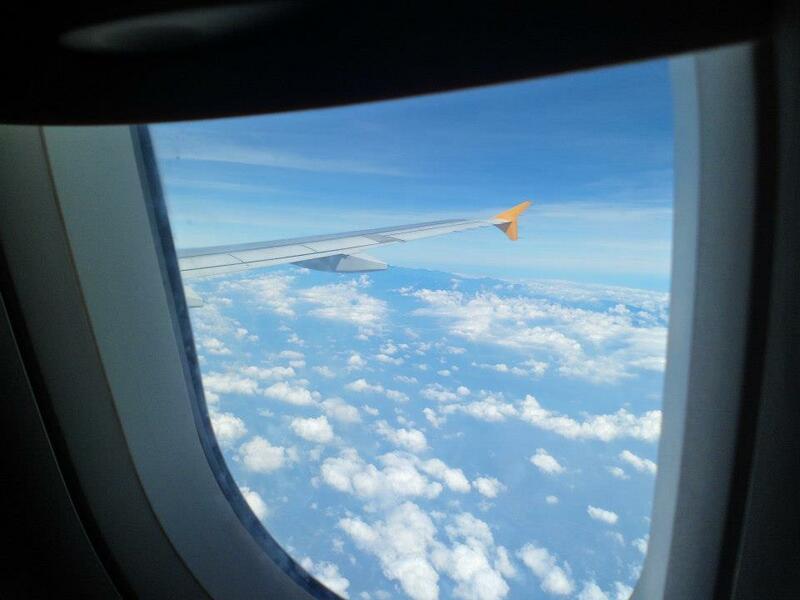 Didnt really slept much, and got to wake up at 0700HRS. 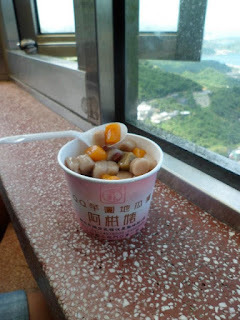 Washed up quickly and proceeded to Jiufen (九份), which was located somewhere at the peak of the mountain. 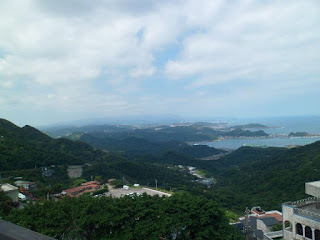 Jiefen was formerly a gold-mining mountain in the early days and it has become a tourist attraction now where it is currently famous for their teahouses. Took the railway train to Rueifang Station and changed to the local bus to proceed up the winding roads leading to Jiufen. 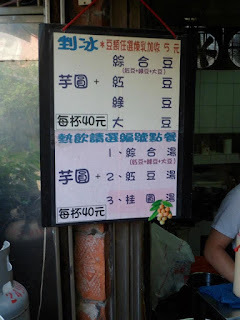 First thing we tried when we reached was the beef noodles stall just at the entrance. Costing NTD$90 (approx SGD$3.80), it was such a big bowl that we have enough to share between the two of us. Jiufen, in my opinion, is defined as an area that is widely patronised by locals as well as tourists. Local delights as well as goods meant for the tourists can all be found in Jiufen. It is meant to be a way of de-stress from the city life and relax oneself by immersing themselves to the fragrance of the tea from the teahouses, enjoying street delights such as sausages, abalone mushrooms, aiyu jelly drinks, etc! 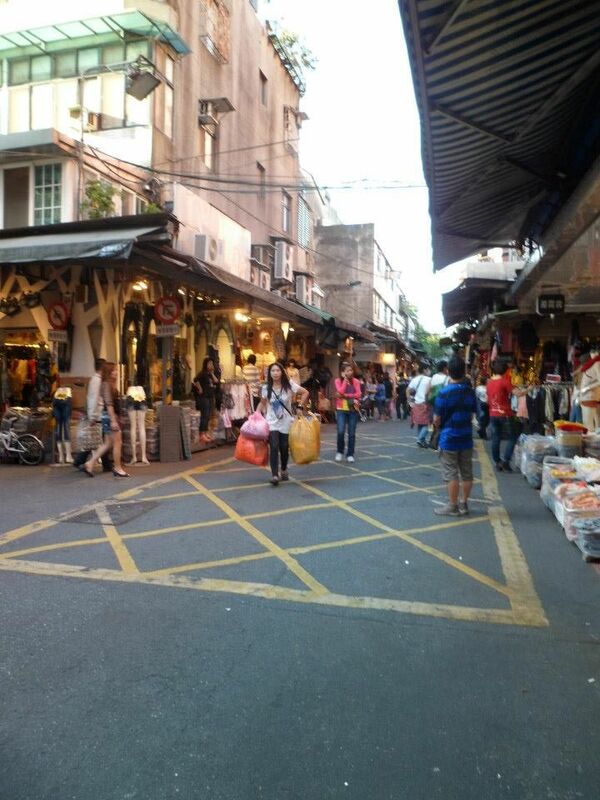 Tourists' goods include the Taiwan famous Sun Cakes (太阳饼), pineapple tarts and the egg rolls. We bought about 6 packets of Sun Cakes from one of the many shops there. Recommendation: in order not to have such a big hole in your pocket, you have to check the prices from the many retailers there There will we samples provided for you to taste. Choose the one you like best, and the most worth for your bucks! Venturing further into Jiufen, we finally found the shop selling taro balls which I have always seen being recommended on variety shows. Personally, I dont have a liking for food that will need a long time to be chewed in my mouth However, the taro balls sold here were so soft, yet does not stick to your teeth and chewing/biting them! Enjoying the last few moments in Jiufen, we proceeded back to our hotel to place our stuffs and continued to WuFenPu (五分埔). 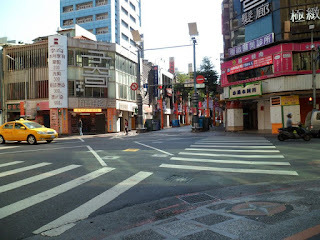 This is another place you must visit when you visit Taipei. Alike to Bugis Street, WuFenPu is a combination of a few streets selling wholesale goods and accessories. The clothing sold there are at unbelievably cheap prices that you might find it hard to resist buying. Rest assure and spend your money there as the shirts are definitely a worth for your cash. Dont be afraid to go on a shopping spree as you will find out that what you purchase at the end of the is much more cheaper than in Singapore. As the sky was getting dark, we moved on the another locally known Night Market, Raohe Street Tourist Night Market (饒河街觀光夜市). Raohe is famous for its Pepper Biscuit, which is smacked right at the entrance of the Night Market. 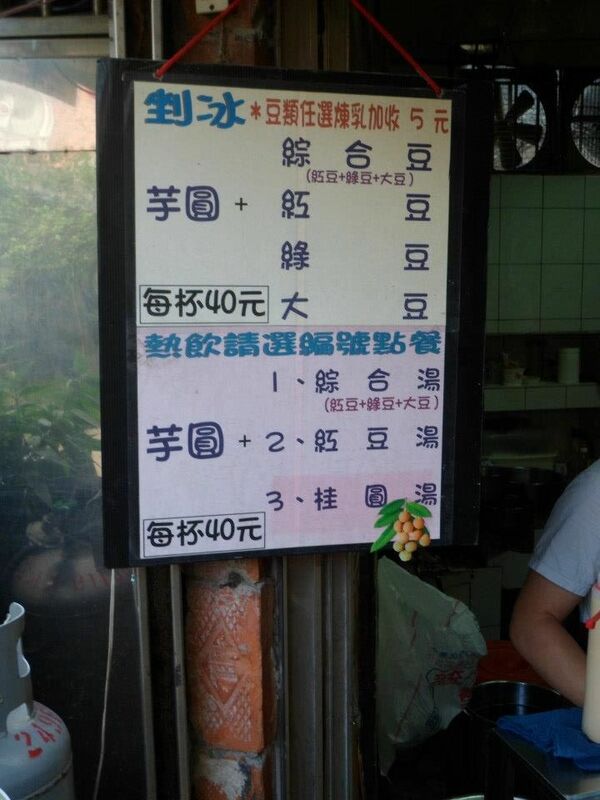 One can easily notice it by looking at the queue in front of the stall. Didnt managed to get a picture of it, but the taste was heavenly as it was fresh out from the oven when we bought it. 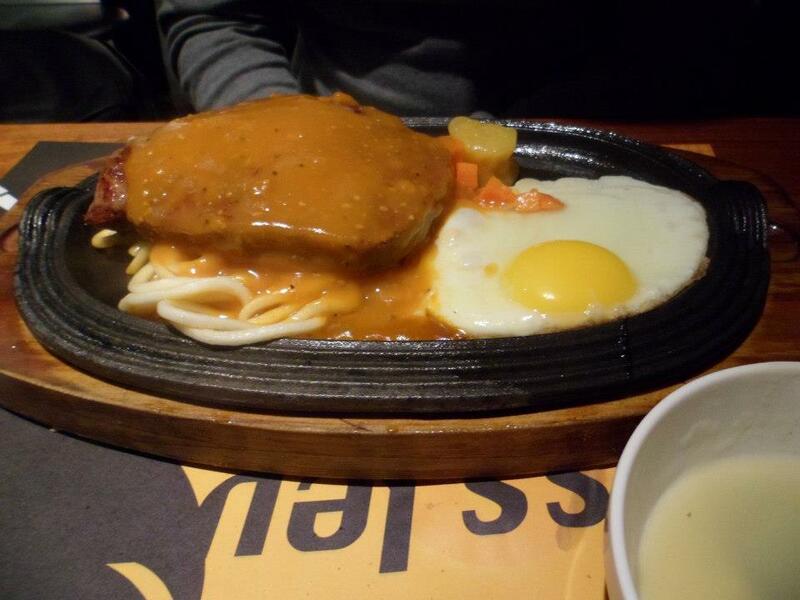 Continued on our journey, we shared a plate of steak costing less that SGD$10 with free flow lemon tea & soup of the day! Tried too much food at Raohe to take pictures! 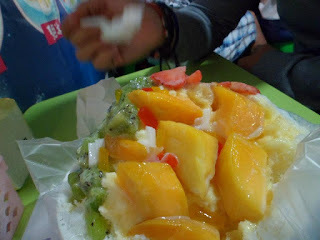 However, one of the more interesting ones that we took was the Mixed Fruits Shaved Ice. It was such a big bowl that even though we only bought a bowl, we couldnt finish it at all. The ice was so fine that it immediately melts in your mouth. However, the highlight of the dish was the sweetened milk which was poured on top, which I find that it tends to be a tad too sweet. Reached back the hotel at about 2300HRS, it was the second last day of our trip, and we reminisced about the fun we had those few days. Had an early rest and planning to wake up a bit later in the morning. Check-out was at 1100HRS and not wanting to let the last few moments in Taipei go to waste, we decided to take a walk at our hotel vicinity and observe the local's way of living. 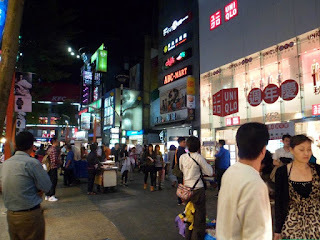 The shops in XiMenDing usually open at about 1000HRS. 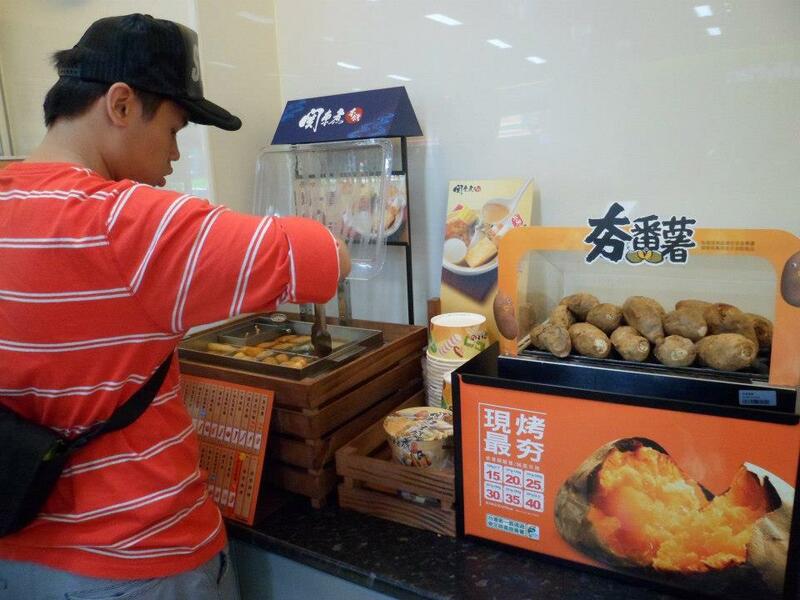 There was this sort of Yong Tau Foo style of cooking in the local 7-11 where some soup-based items are provided in a hot pot where you can choose them and pay at the cashier. Back to the hotel at about 1000HRS. Finished the last of our packing and checked-out punctually. And off we go! 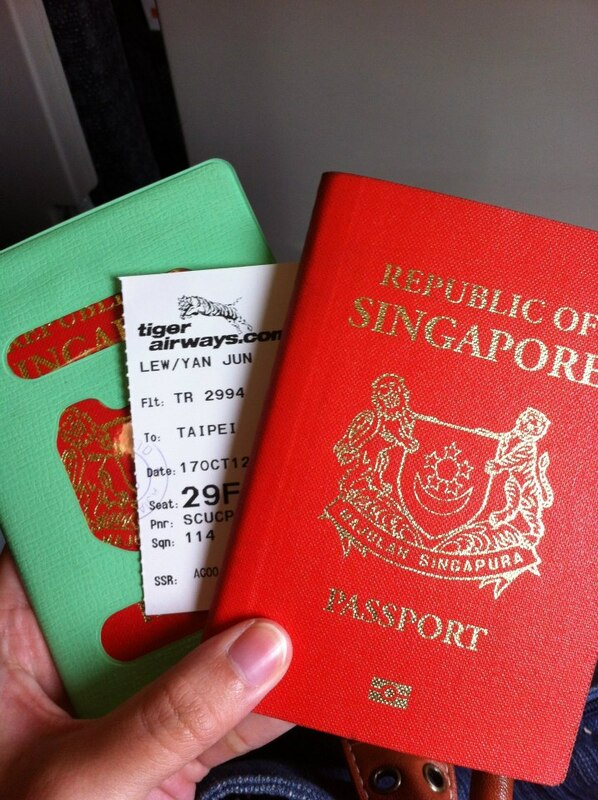 Back home, Singapore!